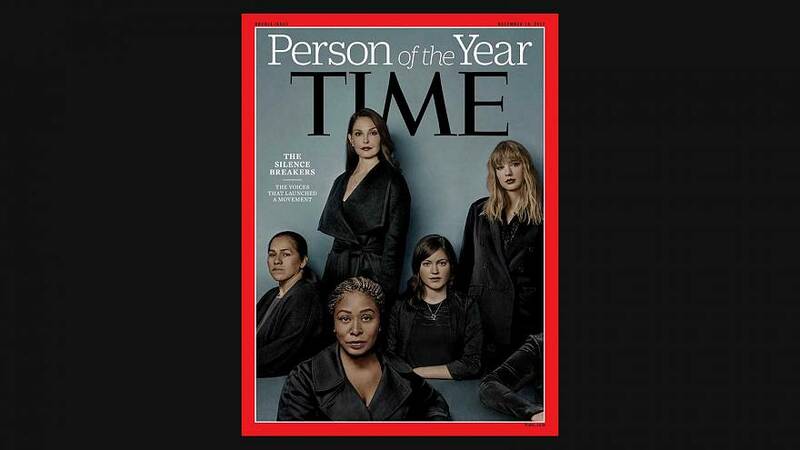 Time magazine has named the social movement epitomised by the #MeToo hashtag as its "Person of the Year" for 2017. The campaign against sexual harassment and abuse has been described by the magazine as the "silence breakers: the voices that launched a movement". The Time Person of the Year is normally a person, group or campaign that has been hugely influential. Editor-in-Chief of Time, Edward Felsenthal, told NBC News: "This is the fastest moving social change we've seen in decades and it began with individual acts of courage by hundreds of women - and some men, too - who came forward to tell their own stories." The recognition comes as a wave of allegations of sexual misconduct against high-profile people continues to dominate headlines around the world. People were encouraged to share their own stories of harassment and abuse through social media. The woman who created the hashtag, Tarana Burke, told NBC: "I could never have envisioned something that would change the world. I was trying to change my community. "This is just the start. It's not just a moment, it's a movement. Now the work really begins." Donald Trump was Time's Person of the Year in 2016. This year the U.S. President was named as first runner-up, followed by Chinese President Xi Jinping. Other finalists included U.S. Department of Justice Special Counsel Robert Mueller, who is leading the investigation into alleged Russian meddling in the U.S. election. North Korean President Kim Jong Un was also on the list of finalists.